A Guelph water advocacy group will speak out about the impact of Nestlé's activities in the region, at a community summit on water taking in Vittel, France later this month. 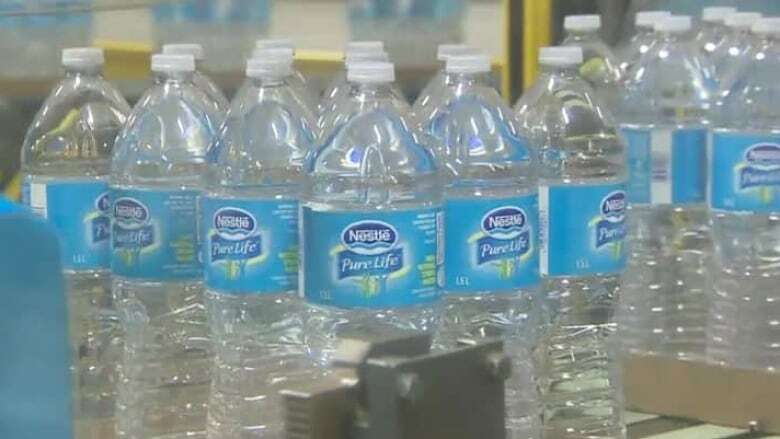 A Guelph water protection group will speak out about the impact of Nestlé's activities in the region, at a community summit on water taking in Vittel, France later this month. Susan Glasauer is an environmental sciences professor at the University of Guelph and will be part of the group representing the Wellington Water Watchers at the summit. She says the group will be discussing the operations of large water bottling corporations around the world and try to gather more momentum behind the efforts of groups like their own. "We're hoping to get a larger movement going of people in our solidarity with [those] who are losing their groundwater to Nestlé," she said, "and to discuss how we use water and what water means to us." Glasauer says they will share some of those concerns with the Vittel community who say they are also facing similar issues with the company. According to French advocacy group Collectif Eau 88, Nestlé has extracted 800,000 cubic metres of water per year in Vittel since 1990. The group says Nestlé pays no taxes to the French government for that water because it is an export product, while local residents pay three euros for each cubic meter of water they use. "They're a bit ahead of us in terms of the loss of their groundwater," Glasauer said. "They're at the point now where the community of Vittel is looking at having water piped in from about 15 kilometres away," Glasauer said. According to Glasauer, that water would be piped in at a great cost both to the community itself and to the local companies that rely on that water supply. She worries about what this could mean for the local water supply here. "They're dealing with issues that we may be facing down the road," she said. Glasauer and her group will present feedback and lessons from the summit in Vittel at a public meeting in Guelph in March.